Founder of 100% Kokoda, Army Officer, Public Speaker, Leadership Expert and Kokoda Guide. 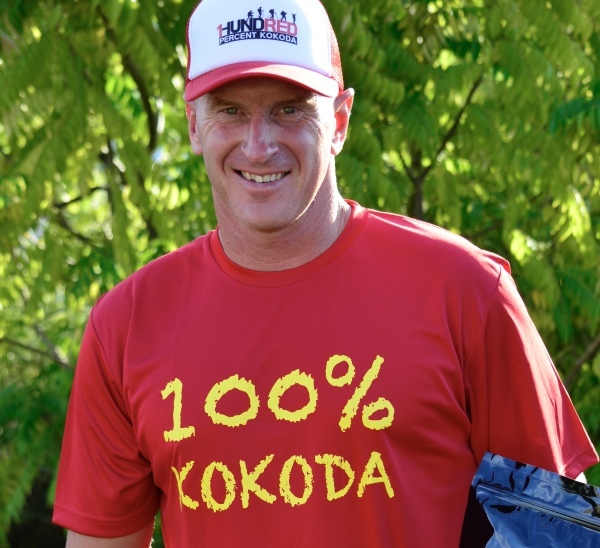 The founder of 100% Kokoda, Cam comes with a wealth of experience in wilderness living. Born and raised in the country, Cam spent his childhood playing with his friends in the bush. Having completed an apprenticeship as an Electrician at the completion of his schooling, Cam decided to return to his roots and get back his real passion of being in the bush and enlisted into the Army. Completing his training at the Royal Military College Duntroon, Cam was appointed to the Royal Australian Engineer Corps and facilitated his junior officer development at the 1st Combat Engineer Regiment in Darwin. Having then spent 18 months at The Army Recruit Training Centre in Wagga, Cam trained over 250 men and women to be soldiers within the Army. Cam then moved to a more specialist role working within Special Operations Command as an Explosive Ordnance Disposal Manager, specifically as an expert on explosives and working within a Chemical Warfare environment. In 2005, Cam as one of Australia's leading biological warfare experts deployed to mitigate the "white powder" scares that took over Australia, a task that remains one of his most fond, as it saw him protecting fellow Australians. In 2006, Cam deployed to Afghanistan with the Special Operations Task Group, working closely with special operations soldiers to ensure their safety against land mines and Improvised Explosive Devices. Cam was then sent to fill the Officer Commanding Leadership and Military Skills position at the Australian Defence Force Academy where he re-wrote the leadership and military skills package, training over 1500 trainees in preparation for careers as officers within the Defence Force. Cam has been working in Papua New Guinea since 2013, facilitating several Army exercises and working on the Kokoda Trail as a guide. In this time he has led more than 100 people across the trail. As a guide on Kokoda, Cam is able to explain in detail the breakdown of the war. With his personal military experience, Cam has the background, the experience and the ability to explain in terms that all will understand. Cam prides himself on pitching this information at the right level for each and every group he leads. For those that want less history, you will not be bored, Cam will keep you entertained. For those that want greater military history, Cam will ensure that you get all the information you desire. Trekking with Cam, the level is always on point. In addition to his military experience, Cam is a qualified Personal Trainer, specialising in strength and conditioning as well as proprioception (balance and joint stability). He has been a competitive athlete for most of his life, competing at some of the highest levels. In his youth, Cam won three Australian Speed Skating titles, played at the Schoolboy Rugby World Cup, and since his retirement from Rugby has taken up endurance sport. Cam has completed 24 Marathons, 20 Ironman Triathlons (3.8km swim, 180km cycle and a 42km run), and represented Australia at the 2015 Ironman World Championships in Hawaii. From this you can take comfort that Cam knows and understands how to train for Kokoda, and has the fitness background to prepare you with confidence. Cam's bush experience, working in dangerous situations and working with people from other cultures should give you great confidence. You can be assured that he will make you feel safe, welcome and a major part of the 100% Kokoda family.